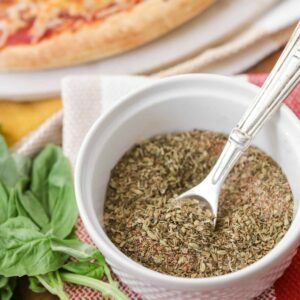 If you make homemade pizza, you NEED this pizza seasoning in your life. It has the perfect ratio of seasonings and herbs to make the tastiest pizza ever! Combine all spices in a bowl and mix well. Seal in a container and use amount to taste.